Oftentimes, caregivers for seniors are envisioned as younger individuals – often adult children or other relatives – who are able to assist with activities of daily living like laundry, cooking and personal hygiene with greater ease than the senior themselves. 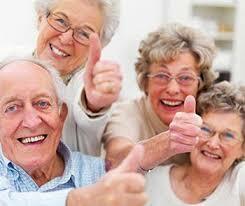 However, there is a growing trend in America of seniors being cared for by other seniors. A recent article posted on Fox News Latino’s website highlighted what 74-year old caregiver Warren Manchess jokingly described as just “a couple of old geezers,” getting through their days together. After retirement, 74-year old Manchess decided to re-enter the workforce as a caregiver with a Home Instead Senior Care location. After a trying experience caring for his own mother-in-law, he was inspired to work part-time as a professional caregiver. Now, a few times each week, he provides respite for a retired electrician’s wife, as he takes over the caregiving helm for a few hours. While Manchess’ position may seem unusual, according to estimations from the Paraprofessional Healthcare Institute, 29% of direct care workers are projected to be over the age of 55 by year 2018. Yet, many people are surprised that this segment of the workforce is as old as it is. With a projected shortage of caregivers and older caregivers in the workforce, it is imperative for home care agencies to take steps now to make their operations more efficient. One of the most effective tools to help do this is a home care software or home care system, like ClearCare Online. With the help of a robust home care software or home care system, elder care agencies can easily manage their caregiver pool. From hiring to scheduling, a home care system allows agency administrators to match seniors who may prefer an older caregiver with the perfect employee. Additionally, a home care software, like ClearCare Online, gives caregivers direct access to their schedules via a secure log-in portal that is part of the home care system. For semi-retired workers, this may mean the ability to check schedules with ease and schedule free-time activities around their new found work responsibilities. While there’s no doubt that the face of seniors will change in the coming years, it also seems that the face of caregivers may be changing as well. With a home care software like ClearCare Online being used to manage agency operations, seniors, caregivers and their loved ones can be sure of the best quality care.